Although it is part of a horror series for young readers, Fright Night has more of a feel of fantasy to it, with its cast containing both an enchanted knight and a wizard. Magic is very present in this novel and, although the foes that its protagonist, Mike, has to face might seem spooky to its readers, there is more a focus on action than on frights. Young readers will love the setting for Fright Knight, with Mike and his sister, Carly, living with their father in a museum of spooky objects. They will possibly identify well with the squabbling between the two siblings, but also enjoy them working together against their magical opponents. 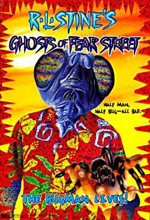 The writing here feels a little stilted, with a few too many short sentences and paragraphs for the words to flow smoothly, and it is not one of the more interesting or original tales in the Fear Street stable. It’s a quick read, though, and a young audience should enjoy the surprise villain, if not the fairly derivative plot. There are some fun characters in The Bugman Lives!. The competitive and snarky semi-friendship between Janet and Carl is very enjoyable, and the addition of Willow part-way through the book adds another type of friendship. There’s also a strong sense of setting, with Gorman doing a great job of conveying the feel of summer. The Bugman himself is a little less convincing. As a villain, he’s not particularly scary, and his motivation isn’t very well described. In addition, it’s not very clear what is going on in the epilogue. It almost feels as though the story could have used another couple of chapters and, given that it’s one of the shorter Ghosts of Fear Street books, I’m sure the extra length would have been okay. While there is definitely an audience for The Bugman Lives! 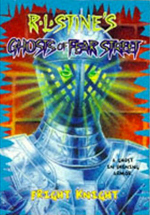 I don’t think it is one of the better books in the Ghosts of Fear Street series. Nevertheless, it’s a quick and easy read for young readers who like the idea of an army of bugs! Revenge of the Shadow People is a fun story with an interesting premise – shadows that are really monsters! Young readers will enjoy the building tension as the shadows begin to stalk Vinny, becoming more and more threatening as the book progresses. Vinny and his best friend, Sharon, come up with a plan to keep the shadows away, but it is unsuccessful, with a result that will surprise readers. Along with its enjoyable plot and premise, Revenge of the Shadow People boasts a cast of characters that is a lot more three-dimensional than the usual Fear Street fare. Sharon is particularly larger than life, and Vinny’s parents are well drawn, with their focus on Vinny’s toddler brother and obvious worry about Vinny once the shadow begins to take over his world. 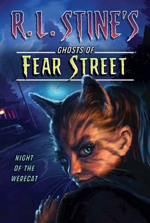 This is definitely one of the better Ghosts of Fear Street books and the sinister shadows should be enjoyed greatly by young readers interested in a little monster horror. Night of the Werecat is a quick, easy read that conforms perfectly to the chapter story rule of having a cliffhanger at the end of every chapter. It’s amazing that Wendy, its protagonist, survived so many shocks to the system! The writing here is of an appropriate level for the age group most likely to read the series and young cat lovers in particular will love the premise. Wendy is a little over the top when it comes to her cat obsession, but no more so than many primary school-aged children are with their own interests. 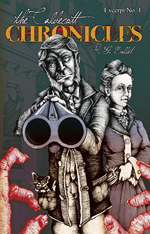 (We won’t go into my horse obsession here…) The plot is a fun twist on the standard “cursed object” storyline and readers should enjoy the idea of werecats replacing werewolves. I do, however, question whether Wendy and her best friend are appropriately depicted as eleven and twelve-year-olds. They read as being several years younger, which would fit in nicely with the age group of the book’s audience. A light read for children who enjoy paranormal elements without much true horror. 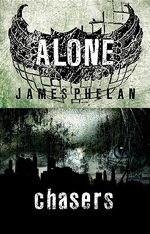 With The Nightmare Within, Glen Krish shows the world what good indie publishing is all about, offering a tightly written horror novel that holds its own against the works of big name authors such as King, Koontz and Herbert. Fast-paced from beginning to end, it skilfully juggles the stories of multiple characters whose lives eventually intertwine, and provides genuine moments of violence, repulsion and sadness. It is the sign of a well-characterised horror book when the reader is dismayed by the death of a member of the ensemble cast, and I experienced such an emotion twice while buried in The Nightmare Within‘s e-pages. 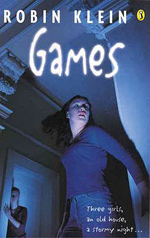 While the novel is written using the perspectives of many characters, those that dominate the book are Maury, Kevin and, to a lesser extent, Gage. The latter is a highly sympathetic character. Devoted to his comatose daughter, it would be difficult not to hope that he will receive the substitute that he desires. The other two, however, are particularly well-drawn and developed. When he chose to focus on a young boy as one of his major characters, Krish took the risk that he might alienate readers by either rendering Kevin as being unrealistically mature for his age or too young to be interesting. Instead, however, he capably shows the movement of Kevin from a naïve innocent to a battle-hardened survivor due to the trauma he experiences. Kevin’s motivations are appropriate and his actions in keeping with those of a boy of his age, but the forced coming-of-age that is engendered by the novel’s events enables him to remain of interest to Krish’s adult audience. Maury, on the other hand, is something of an antihero. While sympathetic, he is not likeable. The reader is quickly introduced to his bad deeds, and he is presented as a man who has difficulty with many human interactions. I didn’t much care for Maury as a person, but very much enjoyed him as a character. Life is rarely about the extremes of good and bad, or innocent and guilty, and it’s always good when novels follow suit. The Nightmare Within is a strong addition to the horror genre, with a good mix of character development, action and destruction. 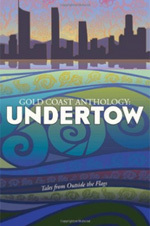 In a way, it’s a pity that it is currently only available as an e-book. It would fit very nicely into my horror bookshelf – perhaps somewhere near the earlier writings of Dean Koontz. Warning: There are brief references to animal cruelty in the beginning of the book. This is one of three books published after Richard Laymon’s death. The other two (The Glory Bus and, to a lesser extent, Amara) are worthy of being saved from his unpublished manuscript pile. In my opinion, The Lake is not. This is a dreadful book. It’s disjointed, confusing, clichéd, uninteresting and just plain bad. It feels like the roughest of rough drafts, but one that was discarded for being too bad to bother editing. Possibly, had a ghost writer been brought in to whip the bare bones into shape, a decent novel could have been dug out of this mess. Possibly. The fact that the action is largely set in the 80s, with flashbacks to the 1960s, points to the possibility that this was a manuscript that had been discarded a couple of decades before it was eventually published. It should have remained discarded. I have read many Richard Laymon books. This is the only one I haven’t loved. It’s also the only one I downright disliked. 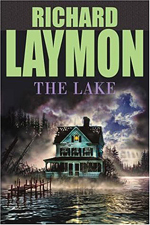 Laymon’s legacy should never have been tainted with this book.